I do not think that there has ever been a year that has flown by so fast. As I am looking back on all that has transpired this year, I am blown away. At the end of 2017 I said that I was praying that 2018 would be a year of doing, and boy did the Lord answer that prayer. 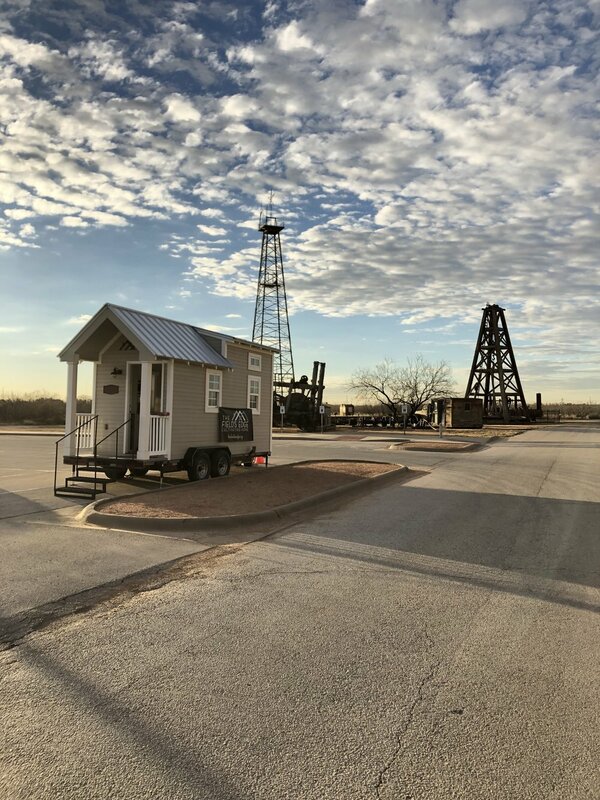 While we haven’t yet broken ground on our land, we have directly impacted many lives and made significant strides toward our goal of building a permanent supportive tiny home community for the homeless. It has taken us all year but I can finally say that the agreement for our land donation is being circulated for revision and soon for signatures. In the next few days The Field’s Edge will legally own just over 22 acres of land in southwest Midland for our village. Talk about a great Christmas gift! We are working to invite people into our work through the capital campaign and we are just above 30% for Phase I of the village. The Lord is providing mightily and as always, it is awe inspiring to be in the middle of what He is doing. God’s provision this year has also included 5 new board members, new friends to join us in our work, and innumerable opportunities to share the Gospel. Our weekly Bible study has been such a blessing as we have walked through the book of Romans for the last 9 months. By the power of the Holy Spirit, reading through the book of John with our friend Rick resulted in his rebirth and salvation in Christ. The highs this year were very high, and the lows were very low. We lost Walker this year. Sometimes when I drive by his old spots, I forget that he is gone and look for his warm smile. I never in all my life imagined that I would be so profoundly changed by these relationships. We have faced trials of many kinds: physical pain, depression, discouragement, loss, and threat of violence, but I am not exaggerating when I say that these costs are far outweighed by experiencing the glory of Christ in this work. It may seem that we have given up a lot to do what we do, but what we have gained overshadows it all. No doubt there are moments of desiring our old lives back, but at the end of the day, we wouldn’t trade this for the world. Another exciting development is that Matt Maxwell is wrapping up the documentary of our journey which is now officially titled, Finding Home in Boomtown. There have been some preliminary screenings for feedback and I have to say that it is a really strange feeling when I meet someone that knows so much about my life and I don’t even know their name. The film will help us to tell our story thus promoting The Field’s Edge. Our greatest hope is that it will honor God. Look for a local premier in 2019! 2019 stands to be a big year. I am admittedly optimistic, and I fully expect to break ground on our tiny home village. If you feel led, would you consider giving towards our capital campaign? I invite you to join us in God’s redemptive work in our city.